Free download: Dell EMC OpenManage Connection for IBM Tivoli Netcool/OMNIbus. 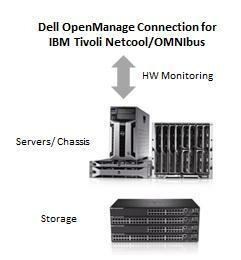 Free download: Dell OpenManage Connection for IBM Tivoli Netcool/OMNIbus. 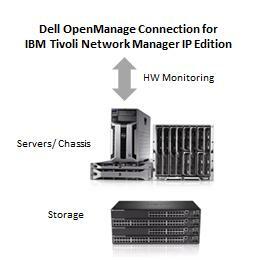 Dell EMC OpenManage Connection for IBM Tivoli Netcool/OMNIbus provides a proactive approach to data center management that delivers features for monitoring Dell server and storage infrastructures in environment managed by IBM Tivoli Netcool/OMNIbus that’s easy and cost-effective. It protects customer’s existing investment in third party consoles and helps in ease of integration and monitoring of Dell devices within third party consoles. Complete the form to download your free Dell EMC OpenManage Connection for IBM Tivoli Netcool/OMNIbus.